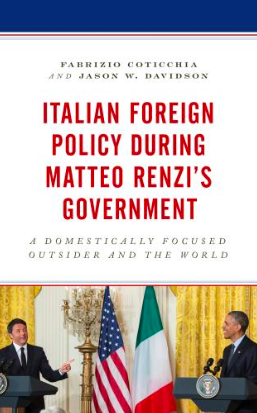 I am delighted to announce the publication of my latest book: "Italian Foreign Policy during Matteo Renzi's Government. A Domestically Focused Outsider and the World", with J.W. Davidson (Lexington, 2019). Here you'll find the info on the book and the first reviews. My latest paper on Italian defense, political parties and military operations is finally out. The paper (written with Valerio Vignoli) presents the first detailed dataset on the votes expressed by Italian parties on military operations abroad in the post-Cold War era. The paper ("Italian Political Parties and Military Operations: An Empirical Analysis on Voting Patterns") has been just published (early view, gated) by Government and Opposition. I've just published the paper: "Can you hear me Major Tom? News, narratives and contemporary military operations: the case of the Italian mission in Afghanistan", (with Siliva D'Amato) European Security, 27(2), 224-244. This research explores the relationship between public narratives and the Italian military contribution to the International Security Assistance Force (ISAF) in Afghanistan (2001–2014). This study aims to reconstruct the core features of the strategic narratives and the media frames around the military intervention and it does so through a Qualitative Content Analysis on a collection of almost 200 articles published by four main Italian national newspapers. The goal of this paper is twofold: on the one hand, we systematically retrace the main discursive patterns and frames employed by the newspapers on the ISAF. On the other, we evaluate whether in the case of military interventions, the Italian media unveil critical inconsistencies and competitive arguments or whether they function as a repeater of the dominant political discourse. Thanks to the case study, we find that the Italian media supported the mainstream narratives. - No papers but just chairing the 3rd NASP workshop on Conflicts and Institutions in Genova (26 June). Here the terrific program. -I'm really pleased to chair (with W.Wagner) the panel “Don’t stop at the water’s edge. 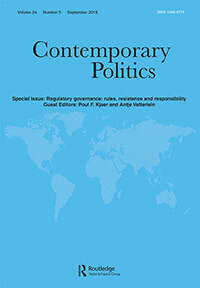 Exploring the role of political parties in foreign policy” at the ECPR Hamburg 22-25 August. -Within the above-mentioned panel I have two papers. The first one is a "collective" paper, which is the result of a project on votes, parliaments and missions. 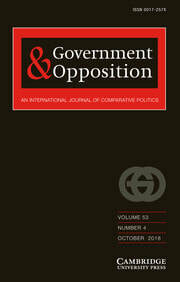 The title of this paper (with Wagner, Kaarbo et al) is: "Voting on the use of armed force. Introducing a new dataset of parliamentary deployment votes in ten liberal democracies". The second paper (co-authored by V.Vignoli) I'll present in the panel is: "The foreign and defense policy of the Five Star Movement. Analysis of votes and debates”. Here the abstract. -I'll also present the paper (with L.Cicchi and E.Calossi): "Enrolling at the University after Role-playing. Assessing how the 'National Model United Nations' Experience Influences High-school Students’ Decisions". Here more details (also on the panel on innovative education). -Finally, for the ECPR, a paper on Italian and German defense policy with F.N. Moro: "The Times They Are A-Changing? Understanding Italian and German Defense Policy Reforms after the Cold War". -I'll organize two panels at the the SISP Annual Conference in Turin (6-8 September). The first (co-chaired with F.N. Moro and A.Locatelli) is: “Change and continuity in European states’ defence policies”. The second (with L.Raineri) is: "Assisting them at their home? 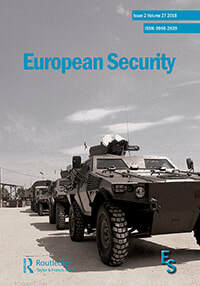 Italian and European Security Policies in Sahel and North Africa". ​-Within this last panel I'll present the paper (with M.Ceccorulli): "Migration and terrorism: the analysis of drivers, debates and goals behind the Italian military engagement in Niger and Libya".